For the meaning of any metric prefix, go here. The unit of capacitance in SI. Symbol, F. A capacitor has a capacitance of 1 farad if a charge of 1 coulomb increases the potential difference between its plates by 1 volt. The farad is much too big for most practical purposes; microfarads, nanofarads, and picofarads are usually used. Formerly the micromicrofarad was common; that is now discouraged. 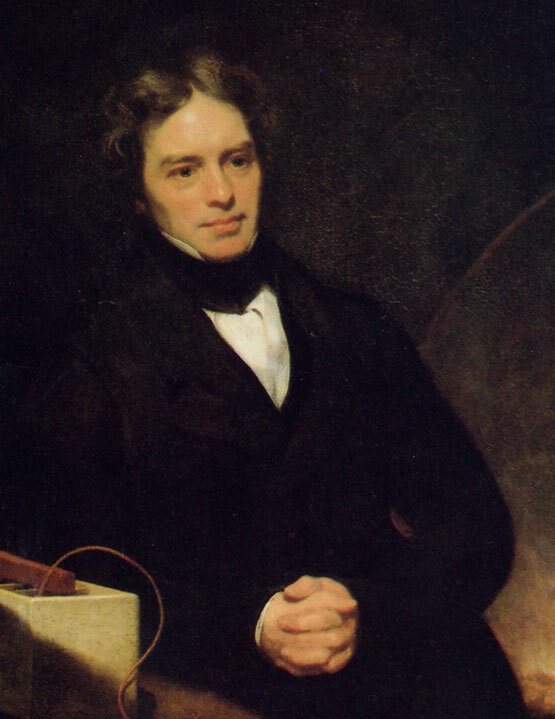 The name farad, honoring Michael Faraday, was coined by Latimer Clarke in 1861,¹ but for a unit of quantity of charge. In the mid-19th century the meaning of the word was somewhat confused; see example 1, below. At the First International Electrical Congress (Paris, 1881) the section dealing with electrical units met on the 16th and 17th of September. The discussion on the second day deteriorated into ill-informed comments on whether the unit of resistance should be based on the B.A. unit of resistance or on the Siemens’ unit. In the late afternoon the chair, M. Dumas, decided to adjourn the meeting, convinced it could get nowhere. But William Thomson (Lord Kelvin) arranged a private meeting the following evening, including Eleuthère Mascart, the Secretary of the section; Helmholtz, Clausius, Kirchoff, Wiedemann and Werner Siemens from Germany; and William Siemens, also from England. The group was able to agree on the ohm and volt, provided it was specified that the units were for practical use. Seeking enough time for the committee as a whole to consider the agreement reached in Kelvin's meeting, Mascart went directly to the President of the Congress, M. Cochery, and requested that the committee be allowed to continue work beyond its scheduled meetings. Cochery refused. Lord and Lady Kelvin and Mascart then went out for hot chocolate at the Restaurant Chibest, near the Congress Hall. At the restaurant this impromptu committee of three settled on the name farad for the unit of capacity (as well as the names ampere and coulomb). On September 21, 1881 Mascart read the committee’s results to it. Some of the members were somewhat startled. The Congress adopted the units that same day. 1. Electrician. vol 1, page 3, September 11, 1861. See below. Letter from C. F. Varley to William Thomson, in the Kelvin Collection at Glasgow University. Lord Kelvin/ his influence on electrical measurements and units. Peter Peregrinus Ltd. on behalf of the Institution of Electrical Engineers, 1992. 2. Latimer Clark and Robert Sabine. Note that these are mostly examples of the previous definitions of the farad, not the current definition. ...Indeed, when an electrician is said to measure a current or resistance, it is this comparison with a recognized unit, which is in all cases understood. The unit employed is important only so far as it is widely adopted and allows a more or less ready application of the measurement in formulae, involving other electrical magnitudes. The series of units most generally adopted in Great Britain have received distinctive names, and are all based on the absolute system. They are, however, all multiples or submultiples of the absolute units, which are themselves of inconvenient magnitudes. 4. The unit of resistance is termed an ohm and = 109 absolute units (centimétre, gramme, second). The unit of electromotive force is termed a volt = 108 absolute units. The unit of capacity is termed a farad = 1/109 absolute unit. The unit of quantity is that which will be contained in one farad when electrified to the potential of one volt: it has no distinctive name, and may be called a farad also.¹ This unit of quantity = 1/10 absolute unit. The absolute units referred to are those based on the centimétre, gramme, and second. There is a strong objection to the use of the words absolute unit, inasmuch as they do not indicate the series of fundamental units on which the derived unit is based. The volt, farad, and ohm are free from this ambiguity. [footnote] 1. Mr. Latimer Clark calls it a Weber. The unit of current is one farad per second; it is one-tenth of the absolute unit of current, and is frequently called for brevity a farad, just as in speaking of velocity we often speak of a velocity of 100 feet, the words per second being understood. Electricity and Magnetism. Fifth edition. New York: D. Appleton and Co., 1880. A biography of Jenkin by no less an author than Robert Louis Stevenson is widely available on the web, in an outstandingly good job of conversion to PDF by Penn State. The name farad was originally proposed (by the Author) and used as the name for the practical unit of electrical quantity, now known as the coulomb, at a time when the metre-gramme-second was in use. Its value was first fixed at 10⁻⁸ C.G.S. units of quantity, but after a time its meaning was changed, and it is now adopted as the practical unit of capacity. It is, however, too large for practical use, as it is not probable that the whole of the electric wires and circuits on the earth would, if combined, have a capacity of one farad. The microfarad is therefore used instead. A Dictionary of Metric and Other Useful Measures. London: E & F.N. Spon, 1891. 3. The unit of quantity is called a farad. One million farads = 1 megafarad, and one millionth of a farad = 1 microfarad. The farad is that quantity of electricity which, with an electromotive force of one volt, would flow through a resistance of one megohm in one second; and since the quantity passing varies inversely as the resistance, the megafarad is that quantity which would flow through a resistance of one ohm in one second. An Elementary Treatise on Electrical Measurement for the Use of Telegraph Inspectors and Operators. London: E. & F.N. Spon, 1868.